ESET®, a global pioneer in IT security for more than two decades, announces its participation at the 25th Virus Bulletin International Conference, which will take place from September 30th to October 2nd, 2015 in Prague, Czech Republic. Researchers from around the world will meet to talk about their latest findings. The conference program, packed into three days contains 7 Small Talks and 51 regular presentations full of hot topics are important to the security community. The whole program is available from the Virus Bulletin website. 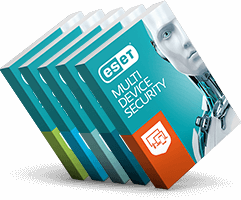 Among the distinguished guests, ESET researchers will present their most recent work. Besides in-depth presentations of the emerging malware to combat, the visitors can look forward to ESET senior security researchers Lysa Myers and Stephen Cobb who will discuss the phenomenon of personnel shortage and diversity in IT industry. “It’s especially fitting that we should be discussing diversity in tech at this year’s Virus Bulletin conference, where in years past I met and befriended many of the inspiring women already working in Information Security. I’m hoping to help extend the warm welcome I received there to help bring in a bountiful new generation of security researchers,” said Myers. ESET, a platinum partner of the Virus Bulletin Conference, will present a number of research papers, which have attracted publicity this year. On the first day, ESET security researcher Stephen Cobb will discuss Sizing cybercrime: incidents and accidents, hints and allegations, which will be later followed by a presentation on The Kobayashi Maru dilemma co-presented by Andrew Lee, CEO of ESET North America. Next, you can look forward to Joan Calvet, ESET malware researcher from Canada who will lead a joint presentation with members of École Polytechnique de Montréal, delivering a talk about WaveAtlas: surfing through the landscape of current malware packers. ESET will conclude the day with a presentation titled Unpack your troubles*: .NET packer tricks and countermeasures by Marcin Hartung. The main portion of tomorrow’s program will belong to ESET researchers Robert Lipovsky and Anton Cherepanov who will present new facts about Operation Potao Express: analysis of a cyber-espionage toolkit. This cyber-espionage campaign is noteworthy for exploiting users with its trojanized version of the popular open-source encryption software TrueCrypt, which was going on for several years. In the presentation titled Linux/Moose endangered or extinct, ESET researcher Olivier Bilodeau will discuss this atypical embedded Linux/Moose botnet, a piece of router malware that was used, among other things, for 'like' and 'view' fraud on social media. The 25th Virus Bulletin International Conference is an annual event of Virus Bulletin, a security information portal, testing and certification body providing users with independent intelligence about the latest developments in the global threat landscape. In three days, the event provides learning and networking opportunities with industry experts and covers all aspects of global threats. This year, the main focus is on topics such as malware & botnets, anti-malware tools & techniques, mobile devices, hacking & vulnerabilities, spam & social networks and network security.